Are you sick of the same old routine office work, bland meals, and meager lifestyle? Even holidays seem to offer no respite! What with the same old clichéd beaches and hill-side cottages that have no steady electricity and water supply. How about you try something different this holiday season? 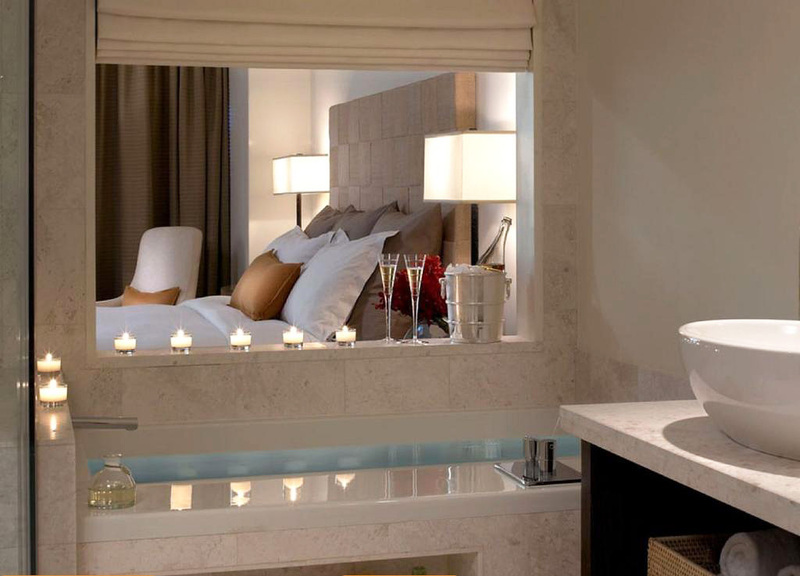 Pamper yourself with the best of services and sophisticated suites. 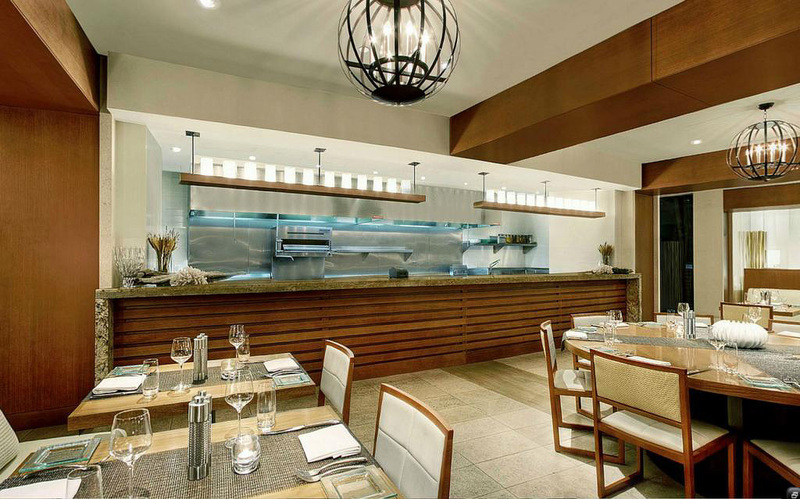 Book a room in the Kimpton EPIC luxury hotel. Why drive when you can sail? Yes, the Kimpton boutique resort is a downtown beach-front property that comes with its private dock. 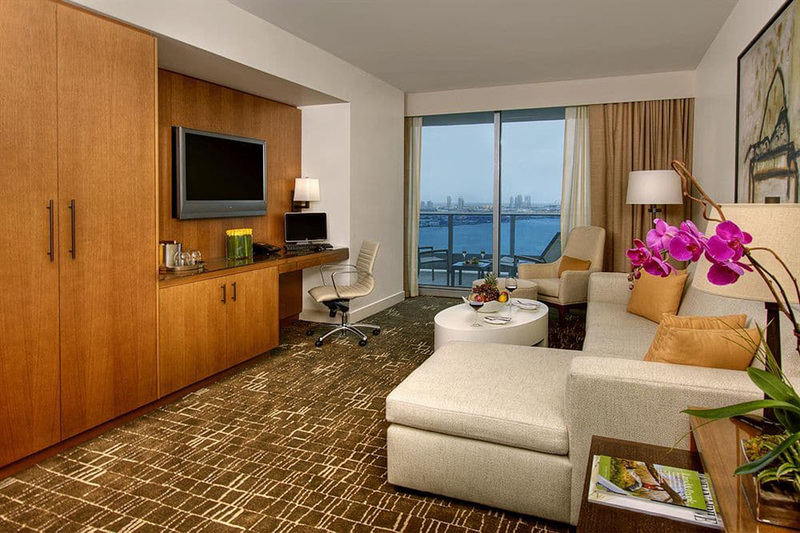 Set in the heart of the city, very near to the port of Miami on the Biscayne Bay, the waterfront hotel is a sky-high 601 feet tall glass structure of utter perfection. After all, what else can you expect out of a place that’s called EPIC! The property includes an urban boutique hotel and a two-tower residential skyscraper located on the north bank of the Miami River smack in the middle of the Central Business District. The Epic tower was designed by architect Revuelta Vega Leon, while the Dupont tower is way older and was built sometime in the 1930s. With an in-house pool, open terraces, private dockyard, elegant suites, and a mini bar – the Epic hotel is best for couples, solo travelers and families alike. 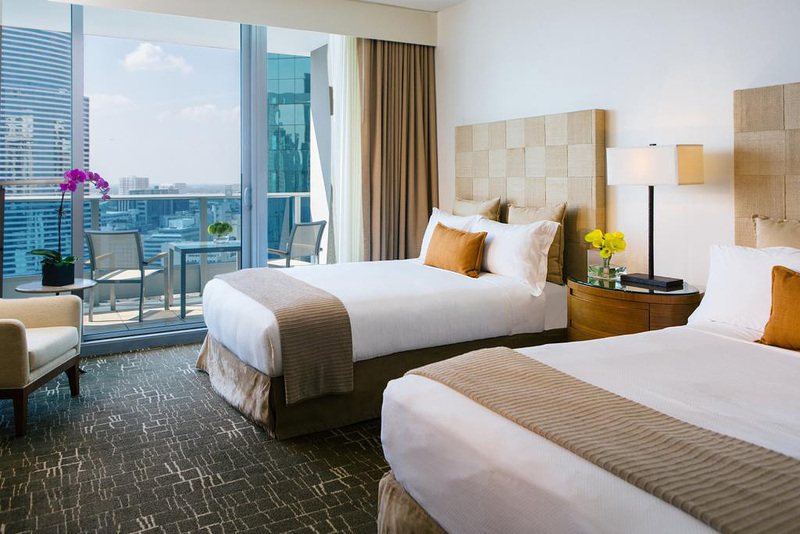 The five-star hotel features 411 fully air-conditioned rooms, all furnished with the comfiest and modern amenities. The Kimpton Hotels brand has been around for a long time now opening new and unique accommodations all across the world. This waterfront property in downtown Florida, USA, consists of two towers, namely, Epic and Dupont. The Dupont tower built sometime in 1930 but the venture was later canceled out. The Epic tower was the brainchild of the architect Revuelta Vega Leon and is one of the tallest buildings in Miami. The Dupont tower was named after a national historic building from the early 1900s called the Alfred I. DuPont Building. Kimpton hotels and restaurants started out in 1931, revamped in 2007 and ventured out into the downtown Florida real estate market sometime in 2013. In fact, the Epic residential tower is the only five-star boutique hotel in the area that caters to both travelers and businessmen. Nestled among skyscrapers, two shimmering pools, chic lounges, poolside spas, private cabanas and huge balconies, the Epic hotel paints a pretty picture. The Epic hotel is truly magnificent in its infrastructure, like all other Kimpton hotels that have branched out all across the globe. Here, you have an in-house pool, a spa center, a private dockyard, poolside, lounges, 2 restaurants, a café, an open terrace and 25,000 square feet of conference space and meeting rooms. Everything about the hotel screams luxury. The building is a 52-storey curved elliptical building made of glass and features over 114 rooms, all equipped with the latest facilities. But that’s not what makes the hotel so special. No, there’s something about the architecture of the Epic tower that though contemporary, has a surreal, dream-like charm to it that takes you far away from the mundane city life. The place sits on Miami River, just the right distance from the craziness of the city’s nightlife. 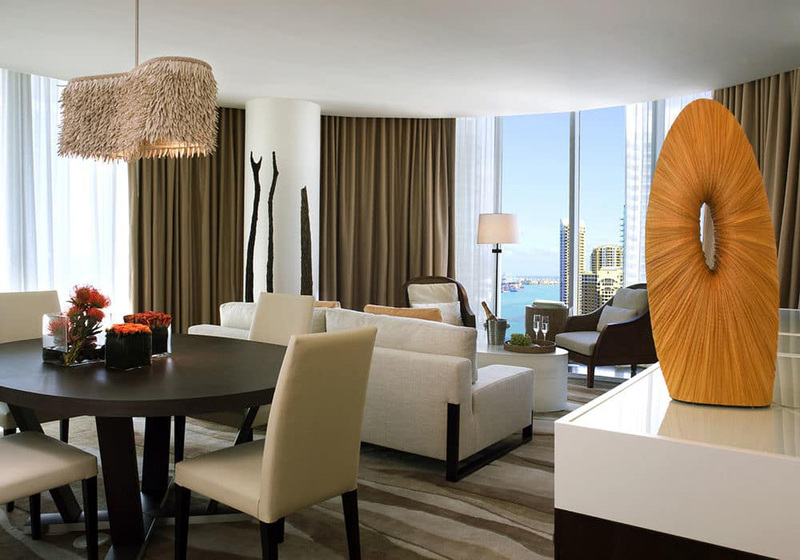 The suites designed by Cheryl Rowley are marked by neutral and beige shades, minimalistic décor and floor-to-ceiling glass door and private balconies. Other than that there are plush king-sized beds, 55-inch flat screen TVs, Wi-Fi connectivity, beautiful bathing spaces, and rainfall showerheads. The private balconies, open terraces and glass windows offer a panoramic view of the city’s skyline. The Kimpton EPIC hotel presents a larger-than-life image that looks like something straight out of a lifestyle magazine. The boutique resort with its poolside bars, huge lounges, Exhale spas, sophisticated restaurants and private marine is a quintessentially urban experience. That’s all about the architecture, what about the interior décor? The interiors, though very different, are at par with the external design. It is minimalistic, neutral, almost in stark contrast to the glamorous curved-glass structure. 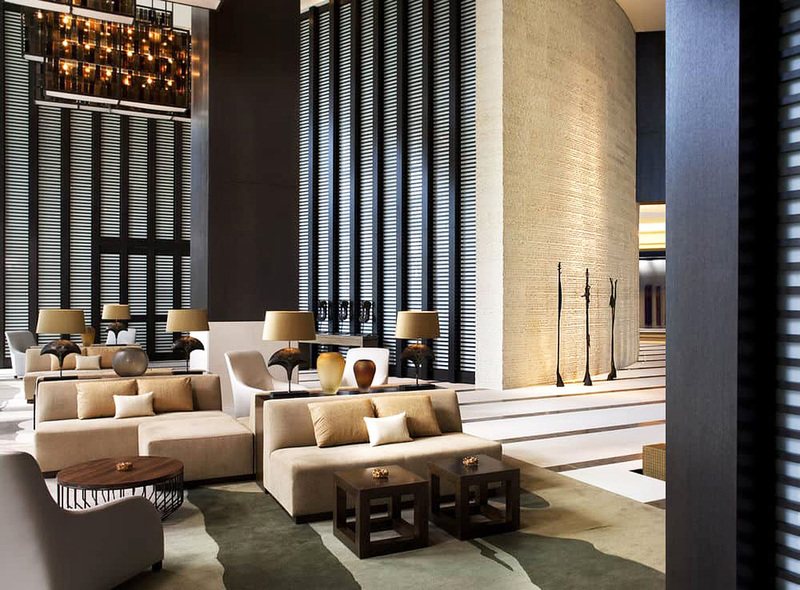 The spacious lobby furnished with plush lounges and a minibar is very chic and contemporary. 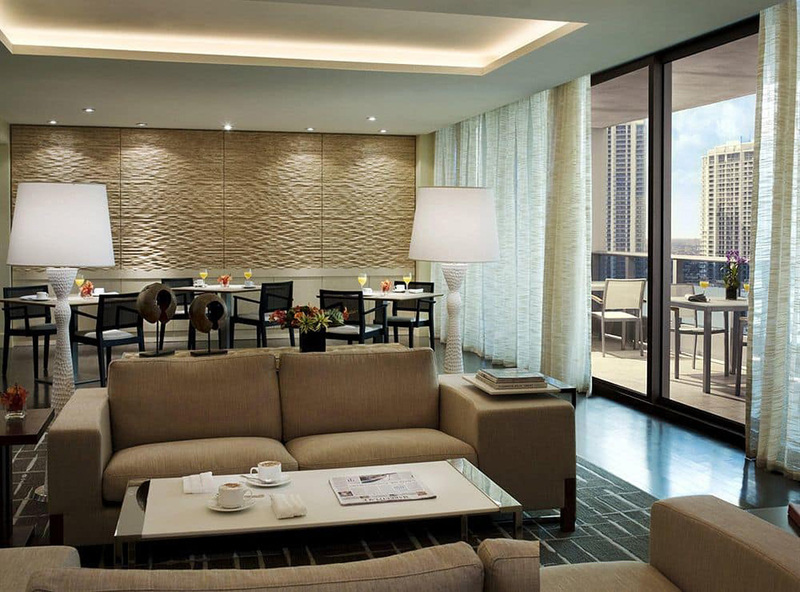 The suites are all well-equipped with the most advanced amenities and features. However, what really steals the show is the floor-to-ceiling window that leads to a private balcony. The sheer magnitude and magnificence of the view will leave you breathless! Once you manage to tear your eyes off the surreal view, you will find that the hotel offers a truckload of activities and attractions for its guests. 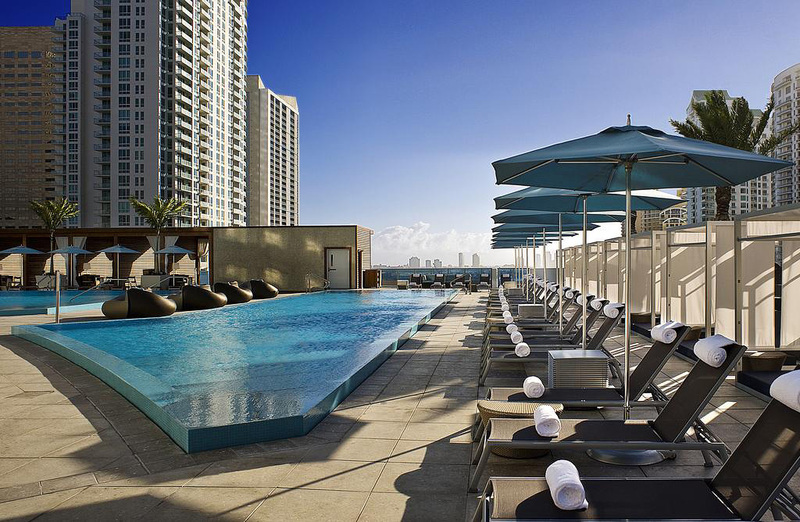 Party all night at the simmering poolside, enjoy a spa, lounge around with your friends or simply pamper yourself- there’s no dearth of stuff to do at the Epic hotel in Miami. The city is known for its people, its beaches, the nightlife, and alcohol. At Kimpton EPIC hotel, you can experience it all. EPIC waterfront hotel is a place where you can let go of all your inhibitions and just focus on having a good time. The colorful, radiant ambiance can cheer up the crankiest of people! Guests can relax and rejuvenate their senses after an exhausting night out at the Exhale spa and health center. If you are on the lookout for some adventure, you can also explore the various water-front activities and sports such as scuba-diving, surfing, fishing, snorkeling, and exciting boat rides. The Epic hotel with its shinning pools, huge lounging areas, tropical private cabanas, exquisite balconies, and a selection of cocktails definitely sets the mood for holidaying. Forget sightseeing, you’d simply want to stay in all day and party all night! That being said, there are many tourist attractions nearby that people can check if they do venture out. The resort is centrally located and is very near the Central Business District, a convenient location for business meetings and conferences. You can visit the Brickell Avenue Bridge, the Olympian Theatre, ride a speedboat around the Biscayne Bay or simply relax at the Exhale spa. The Miami tower, Freedom Tower, Gesu Catholic Church, Brickell Park, Venetian pool, and causeway are other popular spots where guests can learn about the local lifestyle. The Epic hotel is but a stone’s throw away from the popular nightclubs, pubs, and cafes of the town. 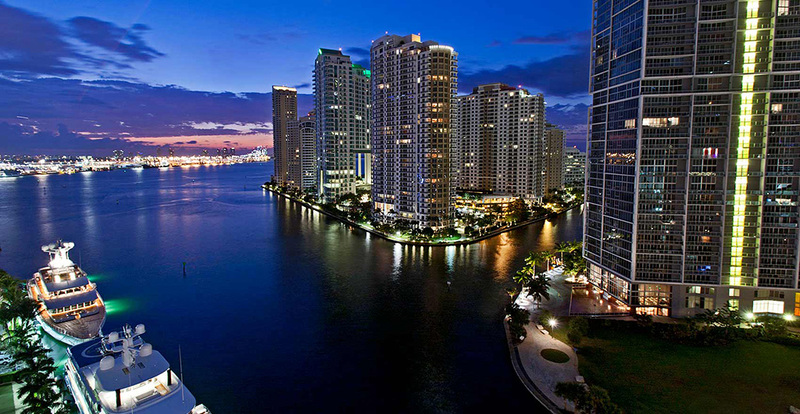 Epic hotel set in Miami, USA is a one-of-a-kind experience that guarantees a memorable vacation. Whether you’re traveling solo, with your partner, your friends or even your whole family, there’s something for everyone here. 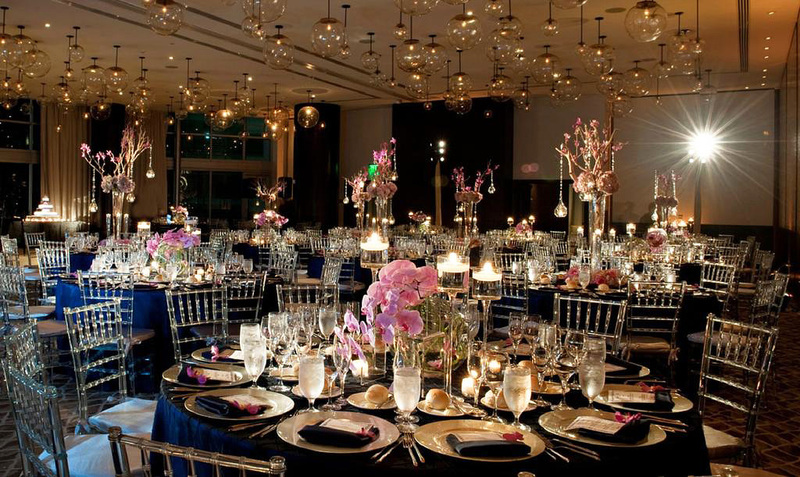 Other than being a luxury hotel, the property can also be hired for hosting events, conferences, weddings and conventions. 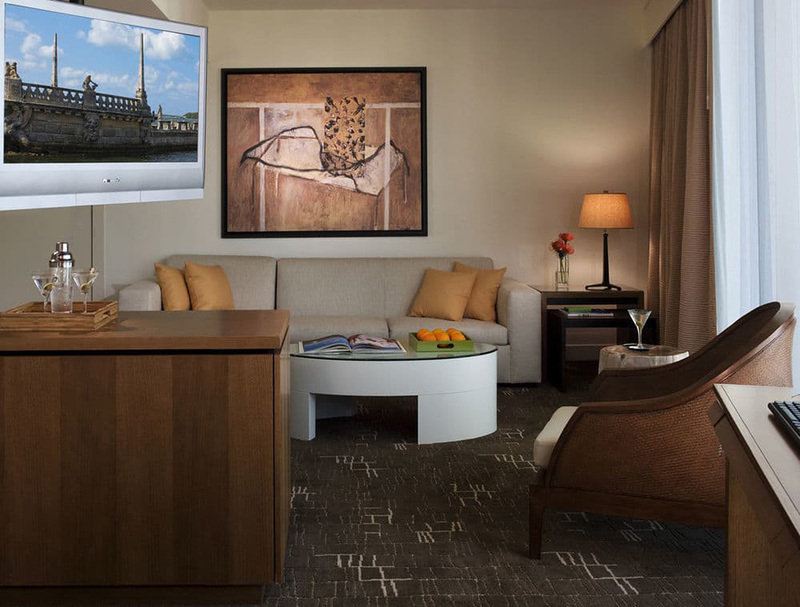 There’re valet parking, in-room dining, complimentary breakfasts, refrigerator and in-house yoga mats available. The hotel is pet-friendly and has a dedicated staff for taking care of your furry friend while you’re out there partying. The hotel also entertains kids and special Kimpton kids program that keeps your children entertained and happy. Don’t miss out on the Mediterranean flavors and local cocktails at Area 31 and Lilt bar. Also, the panoramic view from the 16th floor is to die for! The poolside parties and nightly hosted wine hour are accessible to adults only; you’ll have to present an age-proof at the counter. The staffs are extremely efficient, well-trained and multi-lingual. It was even awarded the Certificate of Excellence in 2017 by TripAdvisor. The resort frequently organizes parties, open to all guests; check them out. The Epic boutique hotel is not merely a place to crash in after a hectic day out; it is an integral part of the Miami vacationing experience itself. It is set in the lively, vibrant town of Miami, a place where the sun is hot and the people hotter. Moreover, the accommodation doesn’t just cater to travelers, but also holds other events, weddings, conferences, and conventions. Here, you can discuss both leisure and business – all under the relaxing tropical thatched roof lounges while sipping on cocktails. Also, it is minutes away from popular downtown nightclubs and pubs where you can unleash your inner party animal and dance into the night. Now, this is what we call, the good life.